The Premiers’ Reading Challenge (PRC) is a great way for students to challenge themselves to read regularly, try new authors, genres and different types of books along with thousands of other students in Victoria who will be participating. If you would like to participate in the PRC this year, please ask your parents to print and complete the 2017 Consent form I have uploaded on our Premiers’ Reading Challenge page (located at the top of our blog) and bring your form to the library before Monday, May 1st so I can register you. We have a number of the Challenge books in our library and you can also read books from home and your local library. Our date to stop reading and have your books finalised will be Monday, August 28th in Term 3. The PRC starts at the beginning of THIS term, but you can include books you have recently read during the school holidays. Congratulations to our 70 students who completed the Premiers’ Reading Challenge! 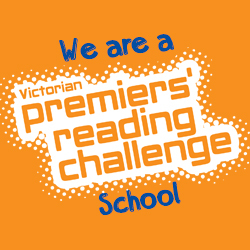 This year 221,800 Victorian school students participated in the Victorian Premiers’ Reading Challenge. All together our students read 2,812 books and each student who completed the PRC received a certificate for their fabulous reading effort to complete the challenge. 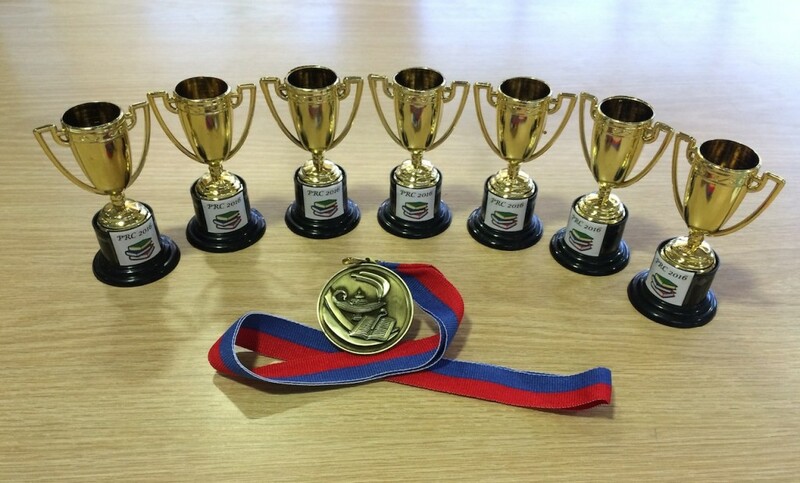 The student who read the most books from each year level also received a small trophy to recognise their reading stamina. Our PRC 2016 medal was awarded to a Year 6 student who has participated in the PRC each year during her time at St Martin’s…Congratulations on being such a wonderful reading role model! 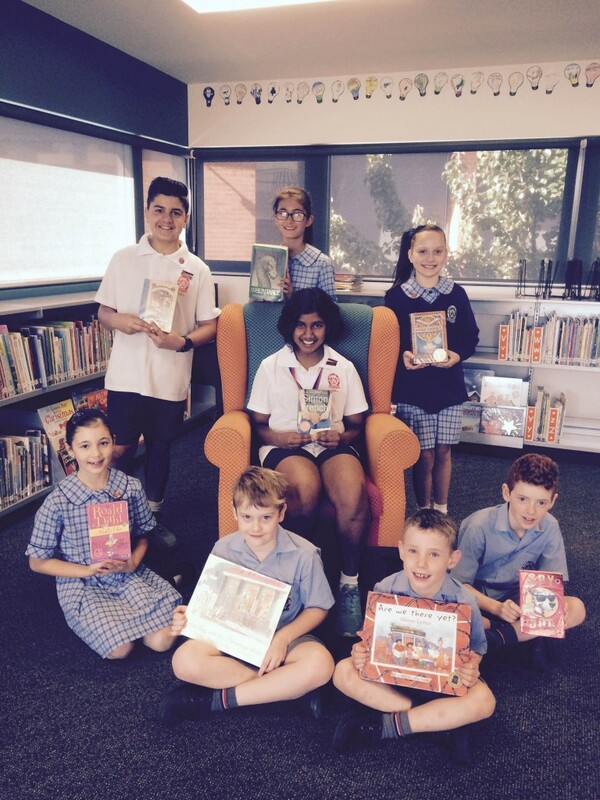 Congratulations to our Victorian Premier’s Reading Challenge readers! 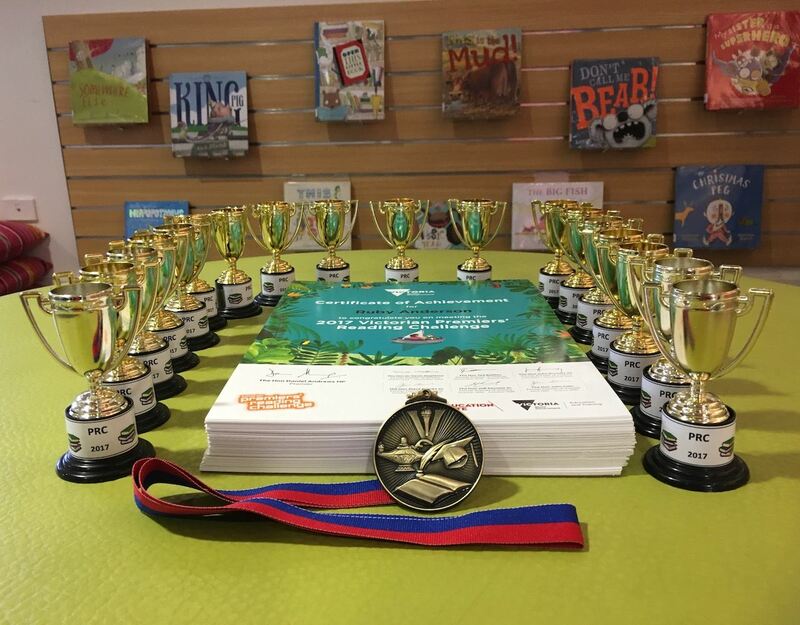 A BIG congratulations to our 70 students from P-6 who participated in the Victorian Premiers’ Reading Challenge this year and read 2,183 books! More than 204,100 participants from 2,800 schools, early childhood settings and homes took up the PRC in 2015, reading nearly four million books. Since the program began in 2005, over two million students have read nearly 38 million books – placed end to end, that’s enough books to stretch from Melbourne to Mozambique in Africa! Here is a wonderful thank you from some of our fabulous authors. I think you will recognise our author friend Adrian Beck who also inspired us with our reading with our Yeo-low Medal this year. You can also find your name on the PRC Honour Roll HERE. A BIG congratulations to these children from P-6 who were awarded PRC medals for their fabulous reading this year. We also awarded one of our Year 6 students a school PRC medal for participating in the PRC every year!